Henrine W. Robinson, 68, of the 800 block of A. Avenue passed away November 28, 2018. 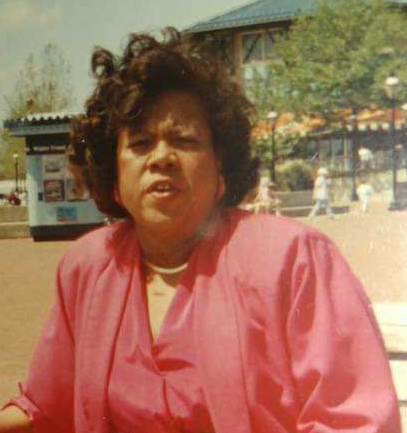 She was born on November 15, 1950 to the late Alease Wells-Cooke and Edward Cooke in Norfolk, VA. Henrine retired in 2004 from the City of Norfolk as an Accountant. She was predeceased by her parents, grandparents, Henderson and Fannie Wells; grandson, D’Angelo Robinson and brother, Wallace Cooke. She is survived by her daughter, Carshena Lawrence (Lorenzo); four sons, Antonio Cooke (Melissa), David Robinson, Daymen Robinson (Anetra) and Derrick Robinson (Arnecia); sister, Frances Williams; brother, Clarence Cooke; grandchildren, Lashawnda, Destiny, Terell, Teshara, Tiarra, Louis II, Derrick II, Jeremiah, Darion, DeLeah, Danielle, Daymen II, Shajada, Davonte, Daniyah, DeKaylen and one great grandchild, Royal Moore. She is also survived by ex-husband and close friend, David W. Robinson; nieces, Donique Williams, Vonita Williams and Alease Cooke; nephews, Clarence Cooke, Jr. and Brandon Cooke; best friend, Bonnie Best and a host of other family and friends. Henrine you have had a long journey and I’m happy to have been a part of your life for the past 10 years. You are a Great Friend ❤️. You encouraged me throughout my transplant and my daughter reminded me that you took me on my first outing after coming home. I will miss you ?. Thank you Ms. Jackie for your beautiful words for my mother and God bless you! You suffering is now over. Your strength & courage during your long illness is a testament to your faith in God. The love and support you provided to your family is what our parents taught us to do and you gave unconditionally. You have always been the sweet younger cousin who I always loved, enjoyed talking with and visiting with whenever I was in Va. My prayer is that you RIP with our heavenly father, meet up with family who left before you and be the angel to watch over your off springs. You are a great soul & will be forever missed. God Bless and keep your family close to each other. May God wrap his arms around you during this very difficult time. Take comfort in knowing how much Henrine loved her family. May God bless and keep you. Henrine will be missed by me and the entire Cooke Family. I have known Henrine all of her life and there is an empty space in my heart. The Family reunions and gathering will not be the same. Ups and down never stopped her. God had His hand on her and will continue to keep His hand on the family she leaves behind. Sorry I am not able to be with you in person, but I will be viewing the service. Previous George A. Clark, Jr.